Elasticity curves run counter to mathematical convention. We typically think of price as the independent variable (usually the horizontal axis) and supply as the dependent variable (usually the vertical axis). Economists decided to make supply the horizontal axis and prices the vertical axis. 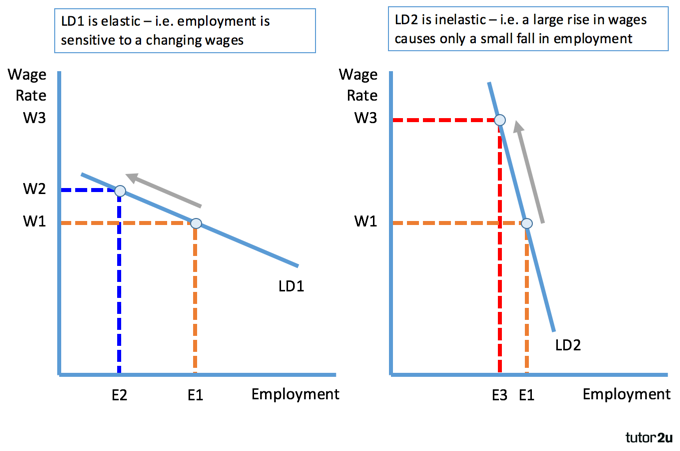 The concept of "Elasticity" can be applied to both Demand and Supply. This essay will focus on the Demand side. Elasticity of Demand is the idea that people will use less of something when the price rises and more of something if the price drops. 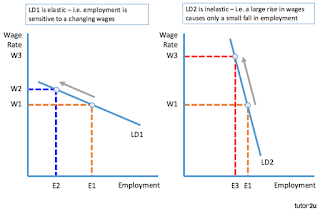 A product or service is considered inelastic if demand does not change, or changes very little, with changes in price. Cowen and Tabarrok use food as an example of an inelastic in their textbook Modern Principles of Economics. This is confusing to some students because individual types of food are elastic. Raise the price of burger and people start eating chicken...or steak. Lower the price of burger and people will eat more of it. But food in total is NOT elastic. Demand may sag a little bit as people waste less food but there is really no substitute for calories. Conversely, after we have eaten our quota there is very little demand for more. Some kinds of agriculture are amenable to automation. Row cropping is one example. Consequently, prices plummeted to the point where it is economical to burn grain as fuel to heat buildings. Unfortunately, inelasticity of demand has a dark side. This article suggests that food shortages are contributing to the global instabilities that are bringing us closer to WWIII. "Sometime in the spring, collective farms that are behind on their quotas will have some of their constituents provide frozen potatoes, which are processed by peeling and drying before presentation to the authorities. That sound innocuous but let me paint a word picture: Peasants will be swarming thawing potato fields potato fields and digging them up AGAIN to harvest the small potatoes that eluded harvest the first time around. Having frozen, those small potatoes are very susceptible to rot. They will be peeled, perhaps while still frozen and then dried. Then they will be confiscated by the authorities so the army and the city people have something to eat. 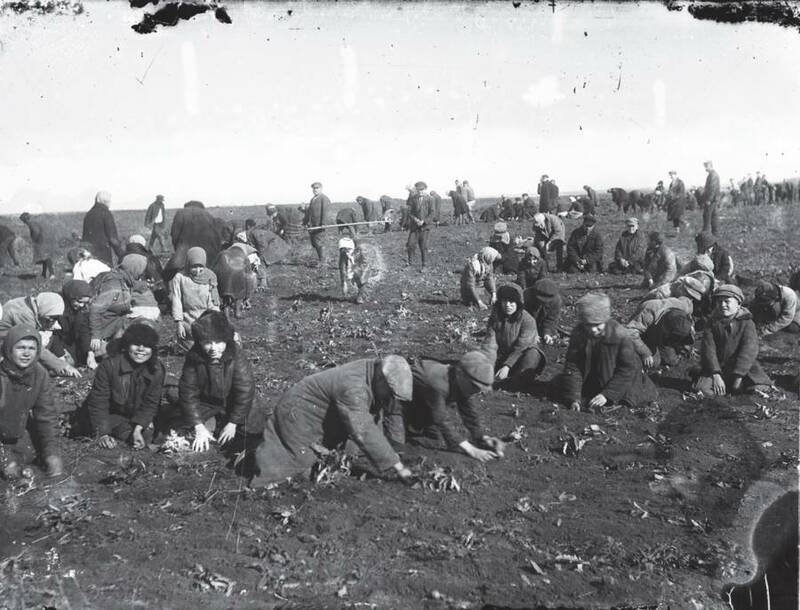 Ukrainian peasants digging up frozen potatoes in 1933. 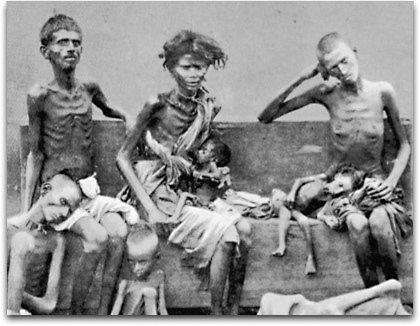 Holodomor survivors from the enlightened Soviet Socialist Republic. Those circumstances are eerily similar to the Holodomor, the Soviet genocide of the Ukrainian peasants in the early 1930s. The Soviet army went door-to-door and pillaged homes for wealth and stored food. 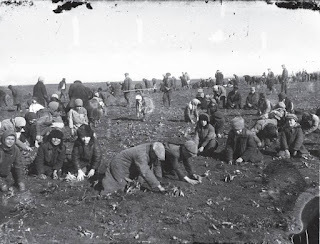 They even raked the potato fields and confiscated every potato larger than a golf ball. If history is any guide, North Korea's rural population will be depopulated and future harvests are at risks. But then maybe North Koreas expects some political event that will cause a commensurate depopulation of their cities and army. Scary stuff. Well, yes it can. Federal and State governments take the risk very seriously. There are countless fragilities within our agricultural production, purchasing, processing and distribution system. And remember, food is inelastic. The destruction of order does not require a 70% reduction in calories. It requires that five percent of the population receive 10% less than they need. And with those elasticity's out of boundaries, you get anarchy! How do Canadians prepare for bad weather?